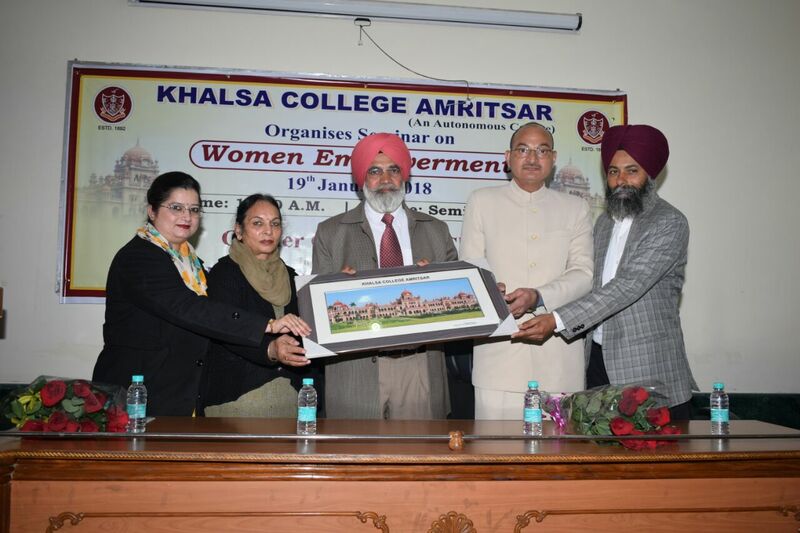 Gender Champions Club, Khalsa College, Amritsar organised lecture on “Women Empowerment” in collaboration with MODY University, Rajasthan on 19/01/2018. Principal Dr. Mehal Singh presented bouquet to welcome Chief guest Dr. B.S. Rathore, Associate Professor of Management from MODY University, Rajasthan. 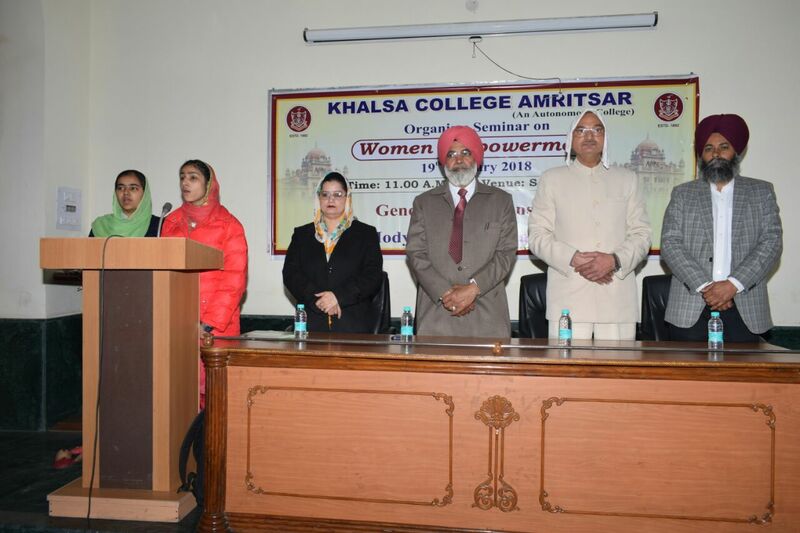 Dr. Sawraj Kaur, Nodal Officer Gender Champion Club introduced the guest speaker to audience and highlighted the importance of empowering women in the globalised regime. Dr. Parminder Singh, Nodal Officer of the club presented vote of thanks at the end of function. 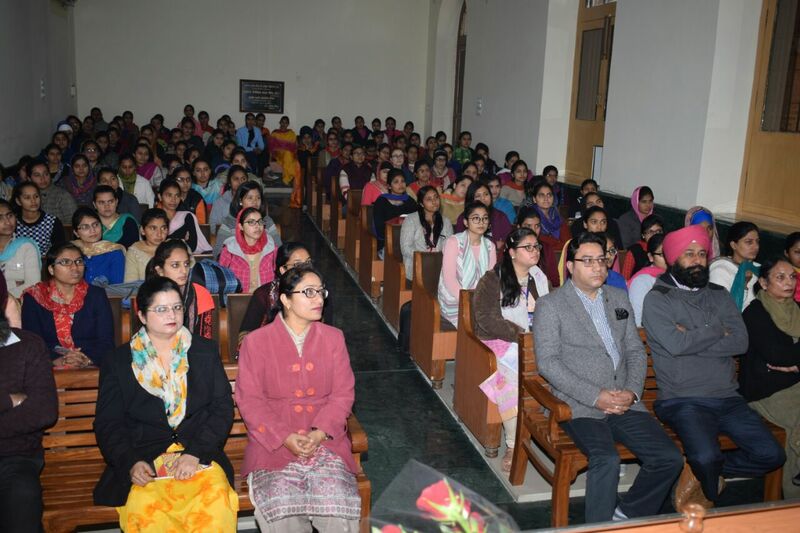 Prof. Navneen Bawa, Dr. Savita, Dr. Kawaljit Kaur, Dr. Navjot kaur were also present during the function where students actively participated in discussion.